With Seibon you will enjoy the tight and constant weave of their carbon fiber products. You will appreciate the workmanship that goes into their manufacturing process, and you certainly will like the way their products actually FIT your RX8. As a discriminating Mazda owner you want something that looks as good on your car as it does in the picture on the internet, right? That's why we have chosen Seibon. 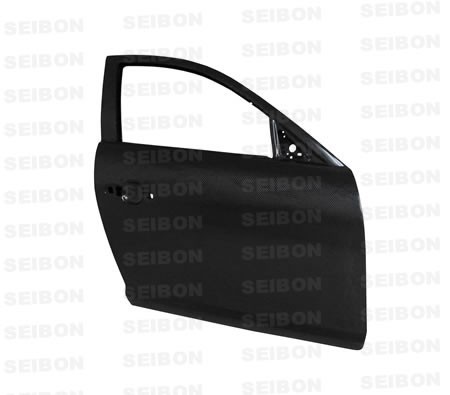 Seibon Carbon Fiber Doors replace your factory doors to add style and save some weight.